Mobile phone users will be able to switch operators by sending a text to the provider they want to leave, under plans drawn up by the regulator. 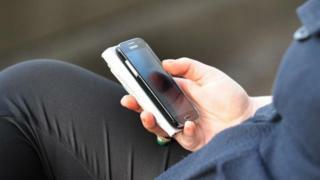 Ofcom said customers could avoid an awkward and long call to their operator and instead send a text. In turn, they will be sent switching codes. The proposal means Ofcom's previously preferred option - a more simple one-stage process - is being dropped. That system was more expensive and could have raised bills, it said. The change of preferred plan marks a victory for mobile operators who would have faced higher costs under the alternative system. Ofcom said its research suggested customers would also prefer the new planned system. At present, anyone who wishes to switch to a different mobile provider must contact their current supplier to tell them they are leaving. Ofcom research suggests that, of those who have switched, some 38% have been hit by one major problem during the process. One in five of them temporarily lost their service, while one in 10 had difficulties contacting their current supplier or keeping their phone number. Under previous plans, Ofcom wanted responsibility for the switch being placed entirely in the hands of the new provider. That would mean one call to a new provider by the customer. The regulator has now concluded that such a system would be twice as expensive as its newly-preferred option of texting to switch. They would text, then receive a text back, which includes a unique code to pass on to their new provider who could arrange the switch within one working day. Customers would be able to follow this process whether they were taking their mobile number with them or not. Under the proposed rules, mobile providers would be banned from charging for notice periods running after the switch date. That would mean customers would no longer have to pay for their old and new service at the same time after they have switched. A final decision will be made in the autumn. Latest figures published last year showed that there were an estimated 47 million mobile phone contracts in the UK, and approximately 5.9 million people had never switched provider at all, nor considered switching in the previous year. Video Are we addicted to smartphones?